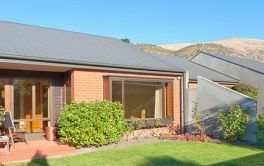 Retirement Villages, Rest Homes and/or Aged Care facilities, Christchurch. 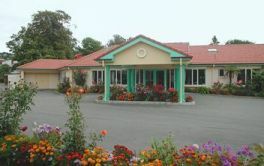 Christchurch Retirement Villages & Rest Home hub of the South Island. 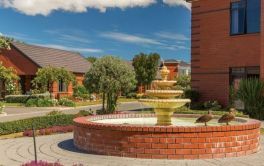 Christchurch, the Retirement Village 'mainland' of the South Island with over 100 retirement villages, rest homes and aged care facilities. It is also the city of multiple award winning rest homes. Retirement living is still booming in Christchurch with new facilities being built and a town that is committed to serving seniors. 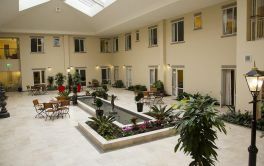 Over 60 various Aged Care facilities scatter Christchurch offering rest home to palliative care. # 1 of 121 facilities. # 2 of 121 facilities. Archer Village is a retirement and lifestyle village in the heart of Beckenham, Christchurch. It has one and two bedroom cottages and villas to suit a range of budgets. Located on Colombo St near the Port Hills it has shops nearby to meet residents needs. # 3 of 121 facilities. # 4 of 121 facilities. # 5 of 121 facilities. # 6 of 121 facilities. # 7 of 121 facilities. # 8 of 121 facilities. # 9 of 121 facilities. # 10 of 121 facilities. # 11 of 121 facilities. # 12 of 121 facilities. # 13 of 121 facilities. # 14 of 121 facilities. # 15 of 121 facilities. # 16 of 121 facilities. # 17 of 121 facilities. # 18 of 121 facilities. # 19 of 121 facilities. # 20 of 121 facilities. # 21 of 121 facilities. 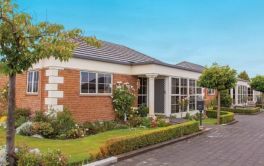 The Linrose Retirement & Lifestyle Village in Linwood, Christchurch offers two-bedroom villas with walk-in attached garages. Linrose Village is part of the Archer family, and residents have access to the Archer Leisure Centre which includes its indoor heated pool and spa. # 22 of 121 facilities. Alpine View Retirement Village, Christchurch. # 23 of 121 facilities. # 24 of 121 facilities. # 25 of 121 facilities. Residents are able to get Rest Home and Hospital level care in the studio's and Apartments. Garden and Hill views, community garden awards 2017 and 2018.